Dr. Fan is a consulting oncologist and an associate professor of the Department of Veterinary Clinical Medicine at the University of Illinois at Urbana-Champaign. After receiving his Doctor of Veterinary Medicine Degree at Virginia-Maryland Regional College of Veterinary Medicine in 1995, Dr. Fan trained in the clinical disciplines of Internal Medicine at Cornell University and Oncology at the University of Illinois. 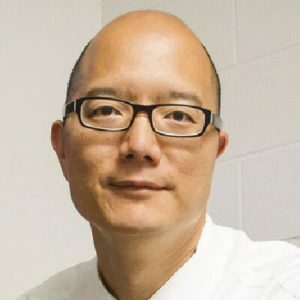 Following the completion of Dr. Fan’s clinical training, he pursued and completed a Ph.D. in Tumor Immunology at the University of Illinois, whereby he investigated the anticancer effects of cytokine manipulation strategies for the treatment of locally-invasive and metastatic tumors in mouse models of disease. Upon completion of his Ph.D. in 2007, Dr. Fan now serves as the principal investigator of the Comparative Oncology Research Laboratory housed in the Small Animal Clinic, Department of Veterinary Clinical Medicine.